Christmas on the Village Green and Christmas Market was a fun day with loads of families and residents out enjoying the sun and entertainment. The kids made the most of the green, scooter circuit and of course Santa’s lolly scramble. The egg and spoon races had heaps of kids involved and heaps of boiled eggs were cracked. The Samoan Methodist Church Choir sang beautiful Samoan Christmas carols and Zanos filled the air with his bagpipe music and violin. Predator Free Mt Vic sold traps and the Weta Motels were also available. Louise gave away free seeds and pots for the Grow a Garden initiative. Thank you to the many stall holders offering different types of food, crafts, books, jewellery and more. And the sausage sizzle was a success. A big thanks from the Play Group to Matt for sponsoring the bouncy castle. We even had some adults sneak on for a bounce or two. All in all, a great day in Hataitai! 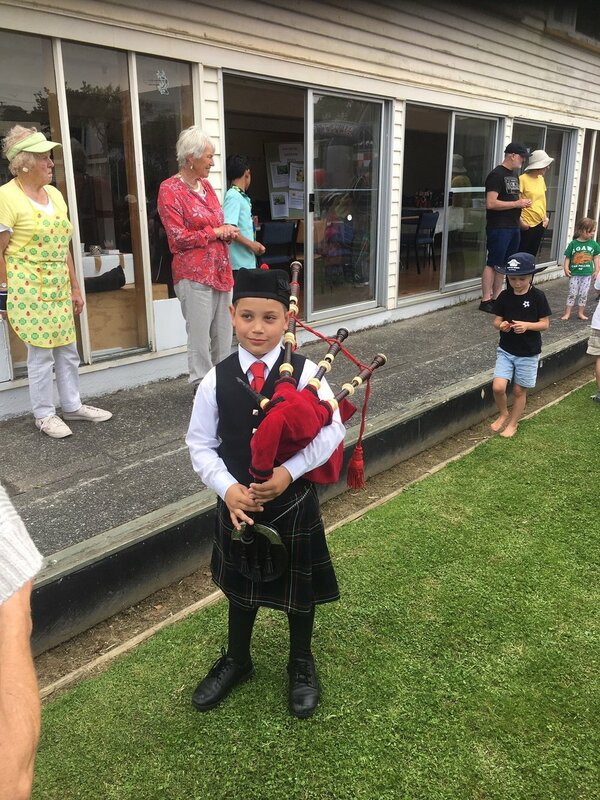 Matt Thorn from Lowe & Co, Samoan Methodist Church Choir, 8-year-old Zanos Boulieris who played the bagpipes and violin, Hataitai Community Market stallholders.